Different types of fuel (summer, winter diesel and especially biofuel) have different values of permittivity. When capacitive fuel level sensor is used, declared accuracy of measurements will be provided only if fuel tank is always refilled with the same type of fuel, on which the sensor was calibrated. To accurately measure volume of fuel when switching from one type of fuel to another, a time-consuming reconfiguration is required. This problem is relevant for vehicles which are refueled with various types of fuel: road trucks, which travel through different countries, stationary tanks for storage of different fuel types. To solve this problem, Technoton launches new product – DUT-E 2Bio fuel level sensor. 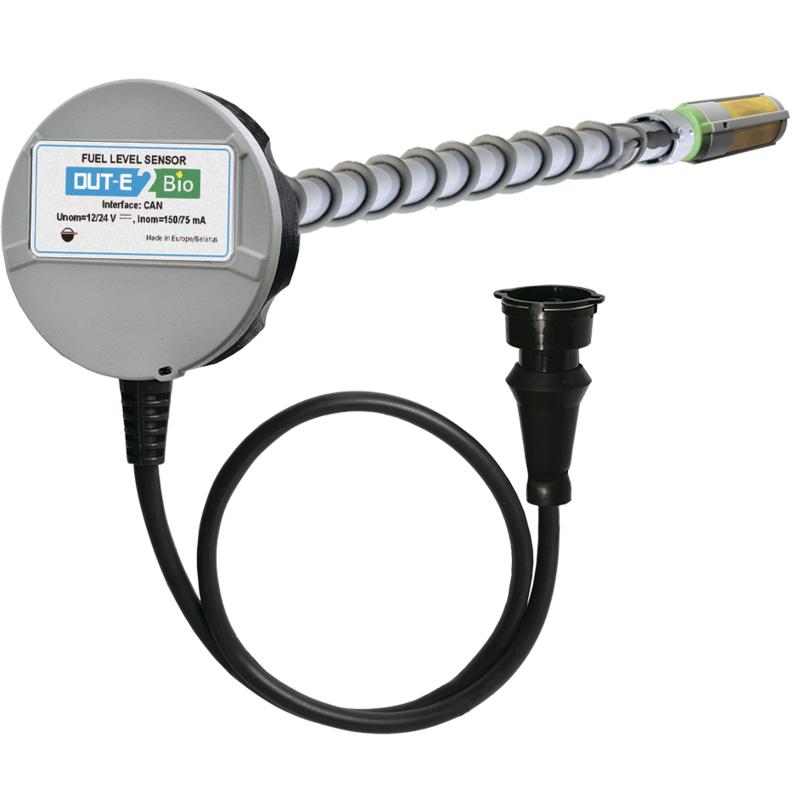 The main feature of DUT-E 2Bio is the third electrode, which allows to obtain accurate data on fuel volume in tank regardless of the permittivity of fuel, also directly measuring fuel temperature inside. the second temperature sensor, placed directly in fuel inside the tank, accurately measures the temperature of fuel, allowing to take expansion and contraction of fuel into consideration. Thermocorrection – the data on the volume of fuel does not fluctuate along with the temperature of ambient.